Proteomics has evolved substantially since its early days, some 20 years ago. In this mini-review, we aim to provide an overview of general methodologies and more recent developments in mass spectrometric approaches used for relative and absolute quantitation of proteins. Enhancement of sensitivity of the mass spectrometers as well as improved sample preparation and protein fractionation methods are resulting in a more comprehensive analysis of proteomes. We also document some upcoming trends for quantitative proteomics such as the use of label-free quantification methods. 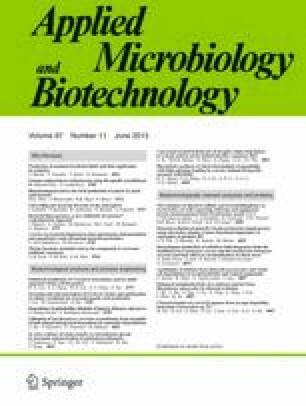 Hopefully, microbiologists will continue to explore proteomics as a tool in their research to understand the adaptation of microorganisms to their ever changing environment. We encourage them to incorporate some of the described new developments in mass spectrometry to facilitate their analyses and improve the general knowledge of the fascinating world of microorganisms. The authors are indebted to the Belgian Federal Government’s Interuniversity Attraction Pole Action P7/44, to the “Bijzonder Onderzoeksfonds” from Ghent University for a concerted action grant, and to the Hercules Foundation (grant AUGENT019).